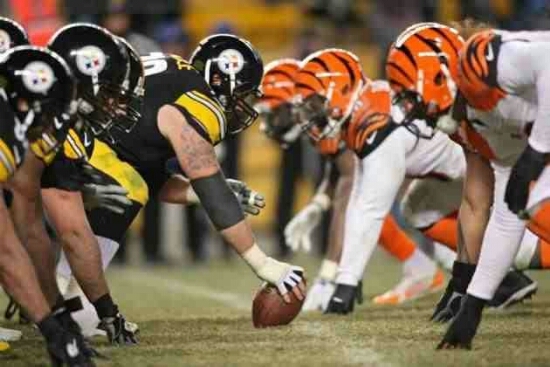 Week 8 Bengals @ Steelers Preview and Prediction | "IT'S A STEELERS WORLD"! The Cincinnati Bengals step into hostile territory this Sunday to take on the Pittsburgh Steelers at Heinz Field, in what some would call a “must win” for the Black and Gold. Sure, this game has a bit of a different feel to it. The Bengals are first in the AFC North at 6-0..while the Steelers are two games behind at 4-3. But is therr going to be a changing of the guards in the division? I really don’t believe so. Cincinnati..like Pittsburgh previous victims the Arizona Cardinals have played and beaten nobody. All six games won against opponents with a below .500 winning percentage. And they will be exposed by a Steelers team that knows them inside and out. Pittsburgh has remained within shouting distance of the Bengals despite the fact that starting quarterback Ben Roethlisberger has been injured the past four weeks. Roethlisberger, who sprained a knee in the third quarter of the Steelers’ Week 3 victory in St. Louis, is expected to return following a 23-13 loss to Kansas City last week. Grated, Big Ben is 2-4 after coming off an injury, but he will be coming off an injury after two full weeks of practice. Giving him the opportunity to knock any rust off that he may have. Not to mention he has the weapons that most teams cannot match up with. Le’Veon Bell, Antonio Brown and Martavis Bryant will all be on the field, a three man unit that is by far one of..if not the best in the National Football League. Plus Roethlisberger tends to light it up in big games, especially divisional foes, and this game should be no different than any game before. The newly confident Bengals are walking with a certain unrecognizable “swagger”..something we definitely are not used to seeing over the past several years. Quarterback, Andy Dalton has been playing unusually good with over 1,700 yards passing, 14 TDs and 2 interceptions. His favorite target continues wide receiver A.J. Green, who has over 530 receiving yards. The running back duo of Jeremy Hill and Giovani Bernard has been lethal this season as well, but it’s tight end, Tyler Eifert, who has six TDs and over 340 yards on the season that the Steelers defense needs to focus on. He needs to be the defense’s focal point in and around the red zone, a place where they have played rather well even with a banged up squad. Still, the defense remains the question for Pittsburgh, but it has been much better than most believe. The “bend don’t break mentality” has led the Steelers to rank in the top 10 for points per game at 18.7, but much further down in yards per game, specifically passing yards. But with William Gay questionable, Brandon Boykin may finally get the chance he deserves to play. Put that all together and you have a tremendous matchup as well as a close one that could go either way, but as we all know only one will come out on top.